Track-Solar PV power plant was designed and launched by our group as a full-cycle EPC-contractor. We performed all work on this facility, starting from getting grid permissions and up to the commissioning and green tariff obtaining. Power station is projected with application of string invertors and polycrystalline silicon solar modules. 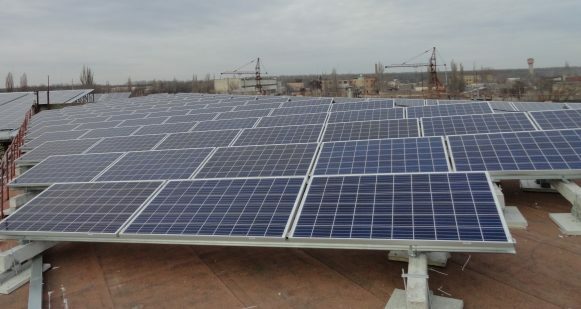 A special feature of the project is the installation of solar modules for 7 separate buildings and support structures, which were developed individually for each building separately.